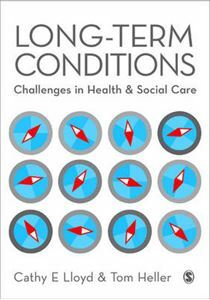 Quick overview Mapping on to the increasing number of courses on long term conditions, this book will be valuable reading for students across the health, social care and nursing field. Some people have always had to find ways of living with long term conditions such as diabetes or coeliac disease, but as people live longer, increasing numbers of us now experience long-term poor health. While some conditions that previously limited the length of life are manageable a growing number of people live with long-term conditions. Against this backdrop, Long Term Conditions explores the complex issues surrounding the experience of long-term illness and the enormous pressure this puts on individuals, their families and carers and on health and social care services. The perspectives of each of these groups are voiced within this book, with chapters written by people who use health and social care services, carers, policy-makers and practitioners. Using a variety of research methods to get to the heart of the matter, the book probes assumptions about the experience of long-term poor health and what constitutes good care. Its aim is to challenge readers to think critically about existing policy and provision and to inspire change based on sound evidence and a drive towards greater multi-professional working. Long Term Conditions provides academics, practitioners and students with a thorough grounding in the complex issues surrounding the experience and management of long-term illness. It is an ideal text for courses on policy, management and practice in health and social care.